Long Term Care Awareness Month wrapped up as the calendar turned from November to December, and while the annual campaign certainly doesn’t cause much of a stir among Americans, it does tend to generate new batches of statistics every year that should be alarming to middle-age and senior Americans – not to mention agents that sell it. And while it is no secret that LTCI specialists typically don’t like to present a bunch of scary statistics to prospects intending to spur them into buying coverage, that doesn’t mean it isn’t helpful to know some facts about the current state of the LTCI market. 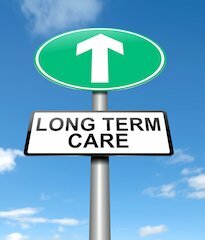 Even as LTCI sales decline, the need for long-term care services will increase substantially in coming decades as more and more baby boomers enter retirement – many of them blissfully unaware of how a long-term care event could wreak havoc their portfolios without some form of LTCI coverage. During LTCI Awareness Month, LIMRA presented research showing that combo products – life insurance and annuity products with a long-term care rider – are becoming increasingly popular while sales of stand-alone LTCI have declined a staggering 60% since 2012. LIMRA attributed declining sales as being mainly due to cost concerns from the consumer perspective and profitability concerns from the carrier perspective. Fewer carriers are willing to take on the risk associated with the stand-alone products now than when they first appeared in the market. New survey data released in late November by OneAmerica echoed the “too expensive” complaint from consumers as well, with 53% of consumers who don’t have coverage saying they don’t have it because they think it is too expensive. That was far more than the other top excuses identified in the OneAmerica survey, including, “I don’t want to pay for something I may never need” (25%), “I’ve never heard of it” (13%), “I’ve heard negative things about it” (9%), and “I don’t know how to get it” (9%). Furthermore, among those who do not have LTCI in the OneAmerica survey, nearly half — 49% — of Americans with annual household income of $75,000 or more cited it being too expensive as a reason they don’t have LTC insurance. In promoting the findings of their survey, OneAmerica stressed that many middle-class families may find LTC protection a cost-effective way to prepare for the needs of growing older, while protecting their retirement income from the drain of unexpected expenses, and noted that roughly 70% of Americans ages 65 and older will need some kind of help with the activities of daily living as they age. A 65-year-old today can expect to incur $138,000 in LTC costs over their lifetime, according to a 2017 Bipartisan Policy Center report. Two-thirds of Americans age 40 and older say they’ve done little or no planning for their LTC needs, according to a poll from the AP-NORC Center for Public Affairs Research. Living in a nursing home now costs an average of $97,000 a year according to Genworth’s 2017 survey of LTC costs. Assisted living facilities cost about $45,000 per year. 57% of Americans say they plan to rely on Medicare to pay for ongoing living assistance (AP-NORC survey), but Medicare doesn’t cover extended nursing home stays or non-skilled living assistance, which make up the majority of ongoing care needs. More than 50% of Americans end up paying for long-term care out of pocket (2017 Bipartisan Policy Center report), a figure which rises to nearly 70% for those receiving LTC at home. Medicaid is projected to account for 40% of national spending on LTC services by 2030. According to LIMRA data, there will be 82 million Americans in retirement by 2040, and federal government data estimates that 52% of those 65 and older will need long-term care services during their lifetime. Today, LIMRA estimates that less than 7% of consumers over age 50 have long-term care coverage. 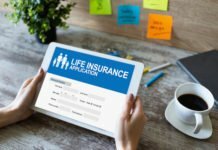 Have you ever heard of LTC Partnership policies? They are very affordable and perfect for those with less than one million in net worth. Better yet Scott, just target the $2 million – $5 million net worth households. There are a lot more households with net worth under $1M. And they are the ones who can get the most benefit from LTCi, especially LTC Partnership policies. Families with $2-5 million want to avoid burdening children and family just as much as the people that have no money. They derive just as much benefit as the households with modest assets. Work with the families that have the money. I guess if I was focused on selling over-priced single premium products then I'd look for clients over 2M in net worth. Actuaries set the pricing for both traditional and linked benefit policies. An actuary isn’t underpricing one product while overpricing the other. No reason to have a bias towards or against either planning option. $2 Million ++ in net worth will buy traditional LTC policies all day long too, Scott. I think Partnership policies are great. However I know of one state that needs to make changes and act much faster. Actuaries set the pricing for both traditional and linked benefit policies. An actuary isn’t underpricing one product while overpricing the other. Wow, Jack! Usually you're a straight shooter. It's rare to read something you've written that is so full of b.s. The profit margins in the hybrid products are HUGE…. 3x or 4x the profit margins of traditional LTCi. Why do you think the industry is pushing hybrids: MORE profits. The insurance industry is not pushing hybrids because the hybrids are a better value for consumers. Riddle me this, Scott. If the profit margins of hybrids are “HUGE” then why did Lincoln and Pacific Life and OneAmerica all see the need to re-price their products higher in the past year? If the profit margins are HUGE then why doesn’t another underwriter file for a product 25% less expensive than Lincoln, Minnesota, Pacific, Nationwide, and OneAmerica and just capture the entire market share of a fast growing space? Don't pretend to be dumb, Jack. Why would an industry that is experiencing 20+% growth every year lower their prices? As long as sales continue to grow by double-digits every year they'll keep "re-pricing" their policies. Why would an industry that is experiencing 20+% growth every year lower their prices? As long as sales continue to grow by double-digits every year they'll keep "re-pricing" their policies. This is not Logic 101. No business would lower their prices, or keep their prices the same, if they were experiencing double digit growth year after year. The OneAmerica COB rider is a good value because it has no lifetime cap. I suggest you begin a new career as a VCR salesman. Oh, Jack. I thought you were classier than that. LTC Partnerships are the future of LTC planning, not hybrids. Partnership policies are just a joint marketing program between private insurance companies and the State Medicaid offices. There was a study done by CT that showed out of 50000 Partnership policies only 39 people received Medicaid benefits. People that purchase LTCi are high net worth to start with. $2 Million ++ in assets. These buyers are not interested in Medicaid planning. They are buying policies to be responsible to their families; to remain independent and to receive care at home or within private pay assisted living. Not sure why you feel State Partnership benefits within LTCI policies are a motivating factor to purchase coverage. Consumers are buying the insurance to avoid Medicaid not to ultimately apply for Medicaid. You have this all backwards, Scott. I wasn't talking about people who have a 7-figure net worth. I was talking about people with a net worth below 7 figures. LTC Partnership policies are perfect for them. And people with the 7-figure net worth are better off with traditional LTCi than hybrids. Well, I do not receive many inquiries from people with assets less than 1 million. Most people that call me have $2-5M. And who says a traditional ltc policy is beter for a client than a hybrid? You? I would hope you would let your client decide. I have been telling you for 4 years the market was changing. Get on the bus and grab a seat. 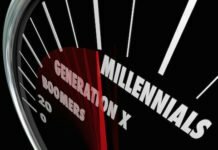 Hybrids are not a good solution for most Baby Boomers. Hybrids are beyond the means of most Baby Boomers. The market is not defined by your experience. The market is defined by my experience. LTCi is a high net worth product. The buyers of LTCi have 2-3-4 Million. These are the people calling me every day. And they are buying hybrids and traditional LTCi. If you are not speaking regularly to households with assets in the millions you are speaking to the wrong households. We are not in the final expense market! You are spending an awful lot of time beating up on another agent because he chooses to work a different market than you do. It is almost like you can't be confident of your own market assessment unless he agrees with you. Most people who buy LTCi have less than $2M in net worth. I am not beating up on Scott. For the record, I respect Scott more than any agent in our industry and Scott knows this. We are having friendly discourse. And Scott and I are working the exact same market. The United States. Internet inquiries are the same for both of us. We just apply different processes and viewpoints to the same market. While the discussion presents as civil, it does not present as friendly. And your comments suggest there are millions of people in the US market whom you would not respect as customers. It appears that MrEd has developed a successful business model which can include and assist insurance consumers that are beneath your notice, and I think it is inappropriate for you to continue criticizing him for doing so. I think you missed the entire point of the duscussion. In both of those, it seems to me that you are telling Mr Ed to abandon his business model which includes customers with lower asset accumulations. It appears to me that Mr Ed has found a way to use modern electronic technology to expand the range of viable potential customers for long term care products, in a cost effective way. And that would suggest that the market is NOT defined by your experience. “Expanding range of viable potential customers?” Not sure what your point is? 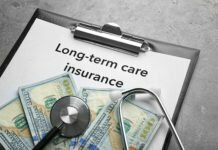 The point of the article is that people do not buy long term care insurance primarily because of the expense. I will try to help everyone that calls me. But make no mistake, the LTCi buyer today has money. "……the LTCi buyer today has money" enough to afford the premium for the product for which they see a need. The focus should be on the combination of the need which the potential prospect sees for themself and their cash flow ability to pay, not a prequalification by a salesperson based on the potential prospect's asset base. Well, at least enough to pay the premium for the product which they have chosen. I believe that Brian posts articles, in part to elicit comment. Mr Ed commented-basically that the range of affordability for LTC products today could cover a broader range of customers than that expressed by the article. If the old ways of hunting by stalking (door knocking, buying leads, buying lists, telephoning) are replaced by using computer means to hunt by snaring, many tasks previously done manually can now be done with computer tools, allowing for effective and efficient need evaluation and efficient policy writing, even for lower asset base consumers. A Seth Godin purple cow concept of the salesperson focusing directly on the consumer's need rather than a prequalifier of how many assets they have. concept of the salesperson focusing directly on the consumer's need rather than a prequalifier of how many assets they have. We all focus on the consumer’s needs. This is not about anything relating to asset prequalification. You completely miss the point. This is about who I see calling me in high volume everyday to buy policies. I'm sorry, but that is a false statement. YOU have CHOSEN to make it about asset prequalification. You have expended 6 posts demeaning your most respected competitor (a 20 year veteran of the LTCi market) because he chooses to view that market differently than you do. Although there is plenty of room in the market for both points of view, you commanded your competitor to follow your approach to the market. And who says a traditional ltc policy is better for a client than a hybrid? You? I would hope you would let your client decide. Partnership policies are just a joint marketing program between private insurance companies and the State Medicaid offices. There was a study done by CT that showed out of 50000 Partnership policies only 39 people received Medicaid benefits. That could mean either that the field of endeavour in which you and Mr_Ed have chosen to earn your living is a totally worthless effort, or it could mean that partnership policies are achieving a goal which one might reasonably expect the State Medicaid Offices to have for the program. People that purchase LTCi are high net worth to start with. $2 Million ++ in assets. These buyers are not interested in Medicaid planning. They are buying policies to be responsible to their families; to remain independent and to receive care at home or within private pay assisted living. Not sure why you feel State Partnership benefits within LTCI policies are a motivating factor to purchase coverage. Consumers are buying the insurance to avoid Medicaid not to ultimately apply for Medicaid. You have this all backwards, Scott. I think I missed the place where Mr_Ed said purchasing a partnership policy is an application for Medicaid. I believe that Mr and Mrs Ed have a more subtle and astute approach to drawing purchasers out of the marketplace than you give them credit for. I have been asked about why I post. In this thread, on this issue, there is a very simple answer. For 60 years I have been denied access to financial tools and/or information by asset based redlining. I understand about the desires to make a profit, the costs of running large consulting organizations, a lot products charging high fees, a lot of products not being useful to someone who has little money, and so on. I don't necessarily like it, but I have to accept the realities of the situations. For this topic, in this thread, the reason I have been so persistent in my responses is that I belong to a demographic which Mr_Ed's organization indicates a willingness to serve and which advisor's organization finds to be a generally undesirable consumer. Mr Ed's posts suggest a solution to a problem which has been stressing me for over a year. While an agent is certainly entitled to express their opinion about what is a wise business practice, and what is not; I take strong exception to Mr_Ed being told again and again and again and …. to drop my demographic because advisor's experience says they don't buy LTCi. I am not pre-qualifying here, nor am I telling anyone to not work with everyone. Just stating my experience as to who are buying the policies. My encouragement to a fellow adviser to be OPEN to selling hybrid LTC policies need not be misconstrued as instruction to not write traditional LTC Partnership policies. Let’s not get this twisted. The article talks about subcategories of the group of people who do not have LTCi. I don't think it gave a general to-from age range for the overall group, or indicated what percent of the total population the group that doesn't have the LTC insurance might be.